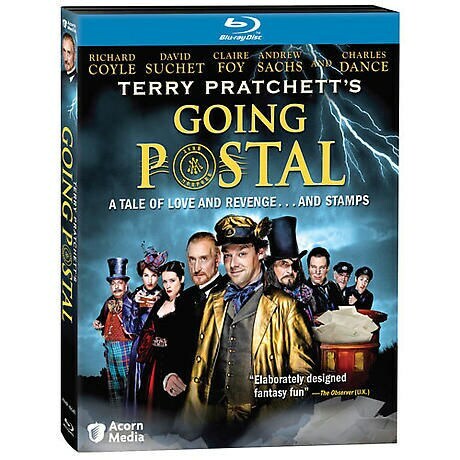 In this lavish made-for-TV adaptation of Pratchett's novel, part of the best-selling, delightfully surreal Discworld series, con man Moist von Lipwig is caught by the law and given two choices: suffer a painful death, or take over a derelict post office. Starring Richard Coyle (Lorna Doone), David Suchet (Poirot), Charles Dance (Gosford Park), and Claire Foy (Little Dorrit). "Elaborately designed fantasy fun"- Observer (UK). 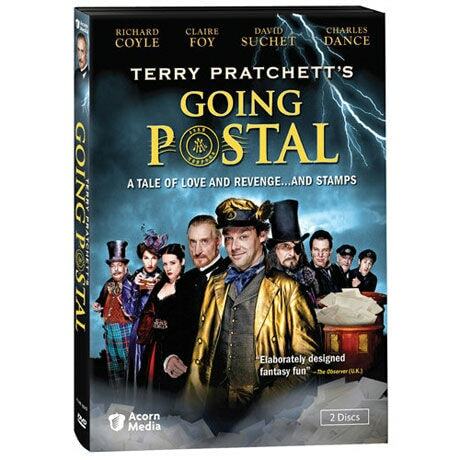 3 hrs (plus 1 hr of bonus material), 2 DVD or Blu-ray discs, SDH.